Vallen Systeme provides the Vallen AE-Suite Software for data acquisition and data analysis tasks. VisualAE, VisualTR and VisualClass are the data analysis tools of the Vallen AE-Suite Software. 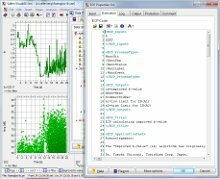 Furthermore the Vallen AE-Suite Software contains software for hardware verification tasks and frequency domain analysis. For data analysis purposes VisualAE, VisualTR and VisualClass establish a powerful set of tools, the so called Vallen VisualCircle. VisualAE is a modular framework for complete data analysis and presentation in real time or in a post process. It processes and displays data of an AE-measurement. VisualAE can be configured to fit various applications and can be configured applicationally, e.g. above-ground tank floor test, integrity tests of pressure vessels, etc. VisualTR is a tool for investigating waveform data in detail and provides helpful tools for generating training data sets for VisualClass. VisualClass is a tool for statistical analysis of waveforms based on pattern recognition. In order to match the requirements of different AE tests, the Vallen AE-Suite Software offers full flexibility and transparency at any time. VisualAE provides a framework for all data analysis tasks in real time (online) or in a post process (offline). VisualAE can be configured on a modular basis to fit a certain analysis task. The individual configuration is based on the selection of individual software modules (e.g. location modules, processor modules, etc.) which can be implemented at any time. VisualAE provides tools for processing or manipulating data, displaying data and integrated auxiliary functionality. So called “Processors” allow for the manipulation of data, while “Visuals” display data in diagrams or listings. Any number of processors or visuals can be defined and used to even enable the most complex analysis. VisualAE strictly separates data acquisition from data presentation. The information of the processing structure (i.e. the number of visuals, processors and their arrangement) is stored in a separate setup file. This enables to use the same setup on different raw data files. The sequence of processing steps, such as filtering, location, clustering, etc., is shown in form of a structure tree. Structural freedom: The structure tree can be easily built up and rearranged by drag & drop. User written software integration: The Embedded Code Processor integrates user code, e.g. to obtain specific results during routine testing by e.g. an application specific severity indicator, or specific alarm criteria, etc. Flexible result presentation: Any combination of results can be displayed in graphs or listings. High quality reports: Graphs and listings can be exported with any resolution and font size. Data file compatibility: The latest AMSY-6 software can process all AE files recorded with any Vallen AE System since 1991. Seven dialog languages: Chinese, English, French, German, Italian, Japanese and Russian included. Analysis tools have to be highly flexible and capable of implementing user defined analysis routines for modern and upcoming AE-test routines in an ever increasing range of applications. Built in functionality and processors of VisualAE may constitute a framework too tight for future applications. Therefore Vallen Systeme provides a tool within the framework of VisualAE, the Embedded Code Processor, which allows for programming your own analysis and use it withinVisualAE. Vallen Systeme also experiences the demand of protecting intellectual property of analyzing AE-test data. This is important for service providers operating in a highly competitive market. Embedded Code Processor routines can be protected from being executed unauthorized and from being viewed, allowing a licensing model for the inventor of routines. This framework offers the highest flexibility of data analysis while it is also capable of protecting the intellectual property. Waveform based analysis, such as FFT, wavelet transform, enhanced feature extraction and pattern recognition provides additional information about e.g. source mechanisms, damage evaluation or wave propagation. 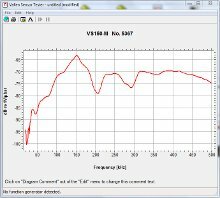 For frequency domain analysis Vallen Systeme provides its software module VisualTR (VTR) which contains the Feature Extractor. The Feature Extractor is an interface for different plugins that extract features from frequency domain and make them available for analysis inVisualAE. The Feature extractor can run in online and offline mode. 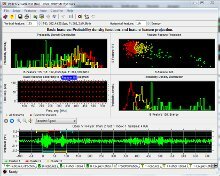 For statistical analysis of frequency domain features Vallen Systeme provides VisualClass pattern recognition software. VisualClass enables an operator to generate a classifier for frequency domain features in a fast and comprehendible way. A classifier designed with VisualClass can be used to classify waveforms in real time as a plugin of the Feature Extractor. Verification describes the process of verifying that equipment is working according to specification. Any sold equipment has gone through an extensive outgoing inspection. For Vallen Systeme it is important that customers can perform their own system verification at the same standard as Vallen Systeme does. It is also demanded by EN13477-2 that an operator of AE-measurement equipment should be capable of verifying that measurement equipment is working according to specifications. Therefore Vallen Systeme provides two software packages, SysVeri and VST, for system verification and sensor testing, respectively. AGU-Vallen Wavelet is a tool which allows you to calculate and display the wavelet- and Choi-Williams distribution of individual waveforms. A time-frequency transform distributes the energy of a wave in time and frequency. Hence it is possible to identify at what time which frequency content occurs. This kind of analysis is not possible by use of standard Fourier transform. AGU-Vallen Wavelet has been developed in collaboration between Vallen Systeme GmbH, Aoyama Gakuin University (AGU), Tokyo, Japan and University of Denver, US. The AGU group has pioneered in the research of time-frequency analysis in the field of Acoustic Emission and Vallen has actively generated software tools. Choi-Williams distribution was added in 2009 to AGU-Vallen Wavelet program. The time-frequency transformation called Choi-Williams transform as proposed by Hyung-Ill Choi and William J. Williams and first published in IEEE Transactions on Acoustic Speech and Signal Processing Vol. 37, No. 6, June 1989. The advantage of the Choi-Williams transformation is the improved resolution of frequency vs. time. A minor drawback is the less sensitive energy resolution.